A new era begins for slot machine fanatics with one of AMC's biggest shows in its history. Brought to you by Aristocrat Technologies Inc, "The Walking Dead" slot machine came to life in September of 2013 and is based on, you guessed it right, the hit cable television series of the same name. "The Walking Dead" enthusiasts will love the fact that this slot features many aspects from the actual series including main characters and location elements. As a land-based slot game, Walking Dead is not playable online at the moment. Keepig this in mind we offer 4 fantastic Zombie slots that should give you a taste and reminder of the Zombie experience. 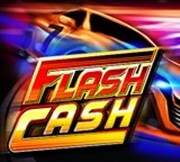 All four slot games are free to play as well as real money and with no hassle of a download. This slot features actual scenes, images and elements from "The Walking Dead," including two different wheels; an Atlanta wheel representing the center of the show's plot and a Centers for Disease Control and Prevention (CDC) wheel. With the Atlanta wheel you get different credit amounts, free spins, access to CDC wheel or Escape from Atlanta game and the 4 progressive Jackpot wins. With the CDC wheel you to get the Grenade feature. The grenades explodes to reveal different bonus awards, such as the Walker bonus with massive multipliers. As for symbols this slot features character symbols of main characters from Season One- namely Rick, Lori Grimes, Daryl Dixon, Glenn Rhee and more. And yes there are Bonuses so in the bonus features you’ll find. Reel Growth -Increases the height of the "reels." As they grow, so too does the opportunity to make more money. Reels 2, 3, 4, 5 randomly grow into 5, 6 or 7. Wild Attack-Works alongside the "reel growth" game where random wild symbols appear at certain points in the reels to garner you extra winnings. The Horde- The horde uncovers a winning combination of the reels in Reel Growth. This multiples your chances of winning big money. CDC Wheel- You will have the chance to win multiple prices and credits with the Grenade or trigger Walker Bonus spins. Jackpot- There are actually four Jackpot prizes altogether. The smallest is the mini progressive, that starts features a $10. The minor Jackpot has a $50 minimum whilst the Major is valued $500 or more. Nonetheless, it's the Grand Jackpot that players will definitely be after, starting at a life-changing $500,000 and can go much higher. This is your kind of slot game if you love winning money (duh! ), and more importantly, if you're into apost-apocalyptic World where the undead scurry about for their next meal and rival survivalists threaten to overthrow your commune. The hit show, which attracts the most viewers of any cable series between the ages of 18 and 49, is currently in its seventh season with an eighth season already on the books to begin in late 2017. "The Walking Dead" show is not for the faint of heart and the same goes for The "Walking Dead" slot machine. But if you're a fan of the show, you will be entertained as much, if not more than when you watched Rick Grimes defend his encampment from the walkers.